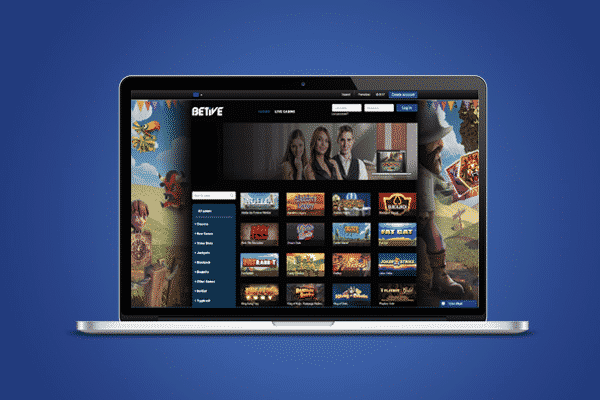 One trusted brand in the online gambling world is Betive. 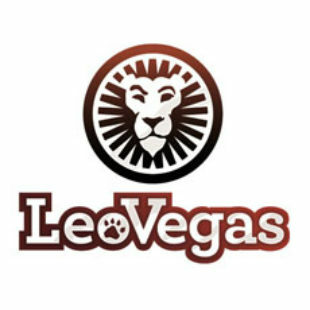 This casino was established in 2015 and is managed by Bethard Group Limited. This well-known operator is also responsible for other top online casinos including Bethard, Sir Jackpot Casino, NightRush Casino and MyChance Casino. At the moment Betive offers a sportsbook, casino and a live ..
One trusted brand in the online gambling world is Betive. This casino was established in 2015 and is managed by Bethard Group Limited. This well-known operator is also responsible for other top online casinos including Bethard, Sir Jackpot Casino, NightRush Casino and MyChance Casino.  At the moment Betive offers a sportsbook, casino and a live casino. Betive’s (live) casino games are regulated and licensed by the Malta Gaming Authority (MGA). On top of that the sportsbook and some iSoftBet games are licensed and regulated by the Government of Curacao. After joining Betive you will get access to a wide portfolio of online casino games. Some of Betive’s most popular game providers are NetEnt, Foxium, Thunderkick, Microgaming, Yggdrasil, ELK Studios, NextGen Gaming, Quickspin and Lightning Box. Ready to try out the whole game portfolio? Then sign up your free account and collect your welcome bonus. At the moment you will be able to collect €200,- bonus money and 100 Free Spins on top of your first deposit. Click this link to open the Betive website! When looking up reviews and rating for Betive you will see that a lot of customers praise Betive for offering a very wide selection of casino games. And on this point we cannot disagree with them! Betive Casino is home to hundreds of the best casino games created by all well-known online game providers. Especially the amount of video slot games is very impressive. Betive offers slot games by all popular providers including NetEnt, Quickspin, Microgaming, Yggdrasil and NextGen Gaming. And since Betive adds new slots every week you will never get bored while playing at this online casino! On top of the selection of video slots you will find a nice selection of Progressive Jackpot Slots at Betive. In the gaming lobby you will find almost all of the most popular multi-million Jackpot games. Some of the most popular titles are Arabian Nights, the Major Millions Slot, Mega Moolah, Mega Fortune, Divine Fortune, and Mega Moolah Isis. Click on ‘’Jackpots’’ in the gaming lobby to check out the full selection of jackpot games. In addition to these (Jackpot) slots you will find a limited selection of table and variety games at Betive. In the casino you will find 25+ Blackjack games types, a selection of various Baccarat and Roulette games and some Instant Win Games including popular scratch card games like 7 Gold Scratch. For Video Poker lovers there is also a limited selection of poker games including Deuces Wild, Jacks or Better or Joker Poker. All with all we think Betive does a great job of offering an interesting game portfolio for all types of casino players. The only thing that maybe can be improved is the amount of games providers by adding some newer popular game suppliers like Red Tiger Gaming, Play’n Go and Big Time Gaming. Betive also offers sportsbook which you can use to place bets on sports events around the globe. After having a short look at the sportsbook I recognized the layout a saw the sportsbook is based on the current Bethard Sportsbook. This is not strange, since Betive is operated by Bethard Group Limited, the company behind the fast growing Bethard website. The fact that the Sportsbook is based on Bethard is very good. 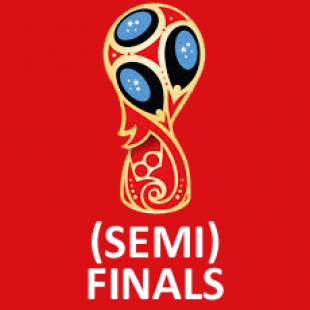 This means you will enjoy very competitive odds, get access to 25+ different sports and over 125 different betting options for a lot of different markets. Some of Betive most popular markets are the Premier League of Darts, the Champions League (Football), the NHL and NBA and Tennis. On top of these benefits you will enjoy a user friendly layout and a very mobile friendly platform. Because of this you will be able to place bets from your smartphone, tablet of desktop. Tip: Did you know Betive offers a special welcome bonus for sports bettors? Simply open your account and collect a 100% sports bonus up to €50,-. This means you will be able to start betting with €100,- by only depositing €50,-. All first deposits between €10,- and €50,- will trigger this one-time bonus. Click this link to activate your bonus offer! 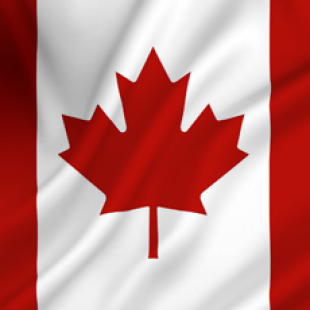 At Betive you will also have access to a top quality live casino. In this live casino you will find live dealer games by NetEnt Live and Evolution Gaming. Because of this you will have more than enough choice when it comes down to playing Roulette, Blackjack and Baccarat games. Personally I prefer the live dealer games by Evolution Gaming, but of course there are also people that rather choose for the NetEnt Live Casino. Both providers offer games around the clock. And both provider offer HD quality live stream and very professional dealer. Although this is the fact the game portfolio by Evolution Gaming is deeper. And on top of that I find the games easier to play and more fun to play since the experience is just a bit better and more classy. Curious which games suit your needs the best? Then visit the Live Casino and try out some games! Since Betive have optimized their website for mobile users it is no problem to bet or gamble from your smartphone or tablet. Because of this you will be able to gamble at any moment you want, from any location (with internet). The Betive website runs pretty smooth on mobile and is available for all iOS and Android devices. You won’t really have to download any software and all games are instant. Only games that are mobile friendly will show up in the mobile casino. Because of this you will always enjoy a top quality gambling experience. Besides the mobile slots Betive also offers live dealer and sports betting possibilities for mobile players. Simply open the regular Betive URL and look how good the website works on your smartphone or tablet! You can collect a €50,- bonus by depositing €50,-, In this case you can start playing with a €100,- balance. You can collect a €75,- bonus by making a €75,- first deposit. Start playing with a €150,- total balance. You can claim a €200,- bonus by making a €200,- deposit. You can start playing with a €400,- balance. On top of the 100% money bonus Betive will also reward you with 100 Free Spins. You will receive the first 10 Free Spins right after making your deposit. The other 90 Free Spins will be awarded in a total of 9 days. Every day at 15:00 CET you will be awarded with 10 new Free Spins. You can use your spins on Starburst, Aloha! Cluster Pays, Lights or Pyramid; Quest for Immortality. Deposit at least €10,- to trigger this bonus offer. Check out the bonus terms and conditions for more information about all the bonus rules. Click this link to open the Betive website! After collecting your first deposit bonus you will be able to collect two more welcome promotions at Betive. The second promotion will be available during your second deposit. During this deposit you will be able to take advantage of a 50% deposit bonus up to €400,-. This means you will receive for example a €100,- bonus after making a €200,- deposit. Deposit €800,- to collect the maximum bonus of €400,-. After collecting the second deposit bonus you will be able to collect one last deposit bonus during your third deposit. With this bonus you will be able to collect another 50% bonus up to €400,-. On top of this money bonus you will also be awarded with 80 Free Spins. These free spins will be available right after your first deposit. You will also be able to play these free spins on Starburst, Aloha! Cluster Pays, Pyramid: Quest for Immortality and Lights. If you prefer to bet on sports at Betive you will also be able to collect a sports bonus. With this bonus you will enjoy a 100% money bonus up to €50,-. Deposit €50,- in your account in order to start betting with a €100,- balance. This bonus will be triggered by every deposit of €10,- or more. Please note that only players from Sweden, Norway, Finland, Germany, Austria, Switzerland and Canada are eligible for this campaign. Deposits via Neteller and Skrill wont qualify for this bonus. Please read the terms and conditions for more information. When you decide to take a bonus at Betive you will need to mind that you will need to wager your bonus funds 50 times. On top of that you will also need to wager all winnings during your Free Spins 50 times. For example; When you deposit €50,- during your first bonus, you will need to wager 50 x €50,- = €2500,-. Once done, the bonus funds will be transferred to your real money balance. You can use this balance on all games or you can cash it out. If you won any money during your 100 Free Spins you will also need to wager these funds 50 times. 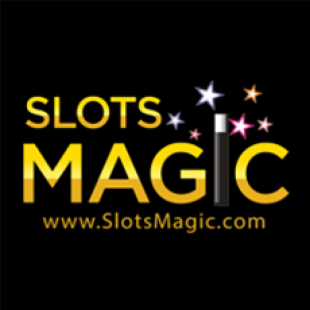 All Slots, Video slots and Scratch Card games contribute for 100% towards your wagering requirement. Some other games like Video Poker and Table Games don’t contribute at al. Check out the general bonus terms for more information regarding wagering and bonus rules. At Betive you will be able to deposit money in your account using multiple payment methods including VISA, Mastercard, Maestro, Instant Banking (Trustly) and PaySafeCard. These payment methods are free and can be used from as low as €10,- per transaction. You won’t have to use a bonus code in order to receive any of the earlier mentioned bonuses. All payments and withdrawals are totally safe at Betive since they use a state of the art SSL encryption. Because of this you won't have to worry about leaving any personal or payment details. If you want to withdraw money from your account you can use do this using credit or debit cards, Bank Transfer and e-Wallets. These withdraws have a 24 to 48 hour pending time. After that most payments will be done between 24 hours and 3/5 days for credit cards. For Skrill and Neteller there is a maximum €4000,- withdraw limit. All other methods have a €5000,- maximum limit per transaction. Visit the banking section on the Betive website for more information. At Betive they take customer support serious. And that’s the customer support department is available 24 hours a day, 7 days a week. Because of this you can receive assistance whenever you need it. When contacting the support department you can choose your preferred way to communicate. This can be the live chat, e-mail or the contact form. In order to get the best help Betive has invested in training professional and educated support agents which will be able to help you in a good and reliable way. If you have any questions, don’t hesitate, and send them to support@betive.com. After this Betive Review we will sum up all pros and cons of the online casino. First of all I think we Betive is a very complete gambling platform for all casino, live casino and sports lovers. The casino offers a wide variety of games, the live casino holds enough games and the Bethard Sportsbook is from very good quality. On top of that Betive offers some great promotions and support around the clock. These are all things that make us happy. Does Betive have any drawbacks? Well, they could improve some things. First of all it would be better to obtain a UK Gambling Commission license. This makes the casino look more serious and reliable. In addition to this it would be nice if they opened a telephone line to contact the support department. Once last thing we can think of is that Betive could extend the amount of game providers with some new popular game providers like Big Time Gaming and Red Tiger Gaming. In the end I must day Betive looks and feel like a very solid online casino which might be a good choice for a lot of online gamblers. Collect €1000,- and 100 Free Spins in bonuses on top of your first three deposits at Betive. Make a first deposit and collect a 100% bonus + 100 Free Spins! Collect up to €1000,- Bonus! State of the Art SSL encryption. Evolution Gaming + NetEnt Live Casino. 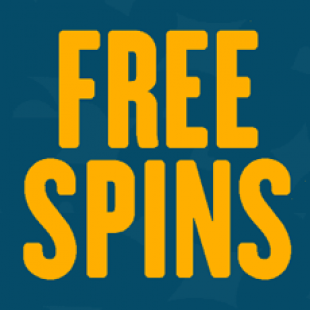 Claim up to 180 Free Spins. Wide variety of casino games and slots. Operated by Bethard Group Limited. While writing this Betive Review we have tested the casino and live casino by making a small deposit. In addition to that we used some respected online platforms to look up more information about Betive and their games. Although we make this review with great care of course some information can be untrue of outdated. If you find any mistakes, please let us know by sending us a message or by leaving a comment. In this case we can have a look at it and change the information when its false. Multiple restricted countries for the Sportsbook. Missing some new upcoming game providers including Big Time Gaming, Red Tiger Gaming and Play'n Go. No UK Gambling Commission license. Casinos with free spins on registration - No deposit needed!